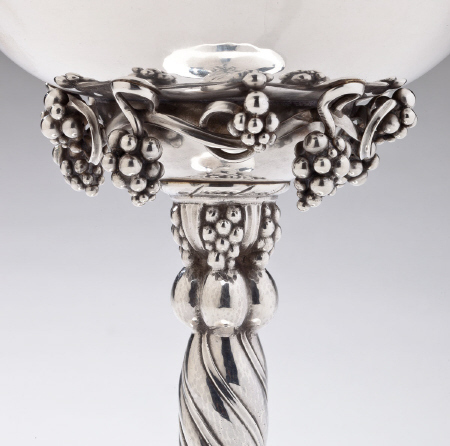 Georg Jensen Compote No. 263B . This tazza no. 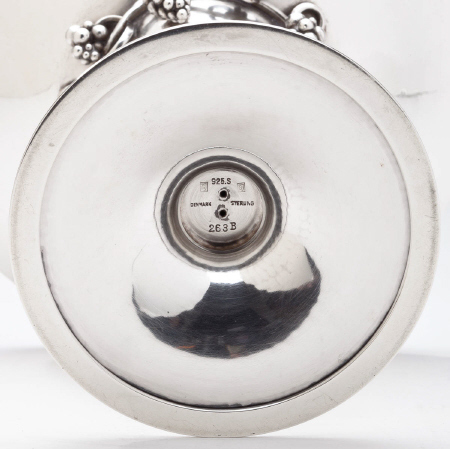 253B isn in the iconic 'Grape' design created by Georg Jensen in 1918. 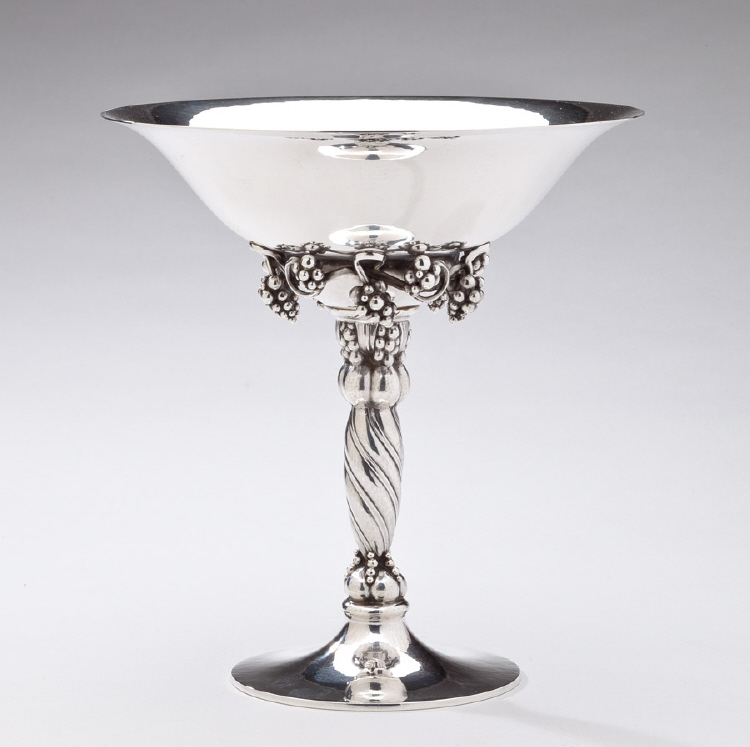 This tazza measures 7.5 inches tall and 7.188 inches in diameter The compote bears impressed company marks for Georg Jensen circa 1933-1944, 925 S, Sterling, Denmark. This tazza/compote is in excellent condition.